'One fly' challenges centuries of entomology-based observation and fly fishing. 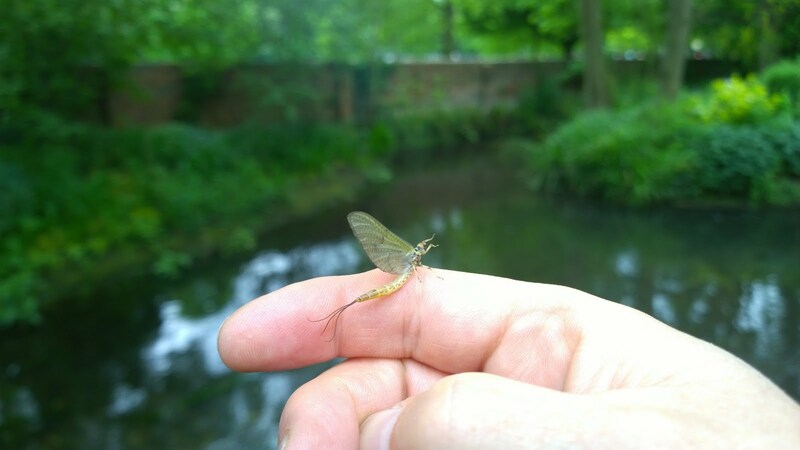 Flyfishers match the hatch with crafted impressions of the real insect, with the intent of fooling the fish into mistaking their fly for the real food item of the moment. To catch a fish in such a way is considered by many as the supreme test of angling skill. So how can there be any real skill in the tenkara one fly approach when it requires no real entomological knowledge? One fly also challenges the codified 'Victorian collector' mentality still prevalent in western flyfishing culture, evidenced by boxes and boxes of flies containing row upon row of subtle variations on a theme. It's as if to be found on stream without this precise pattern in that precise size, with this shade of dubbing would be akin to getting caught with ones metaphysical pants down. Surely to rely on just one fly is a dumbing down of intellect, a betrayal even of centuries of western flyfishing tradition, developed by our forbears and then enshrined by our peers. Last season I took a limited box of flies with me to the water but found that I was defaulting to one pattern more and more. At first it wasn't a conscious decision, it just seemed that this particular pattern caught more fish more often, and of course once a fly becomes a favourite it is in effect a self-fulfilling prophesy. 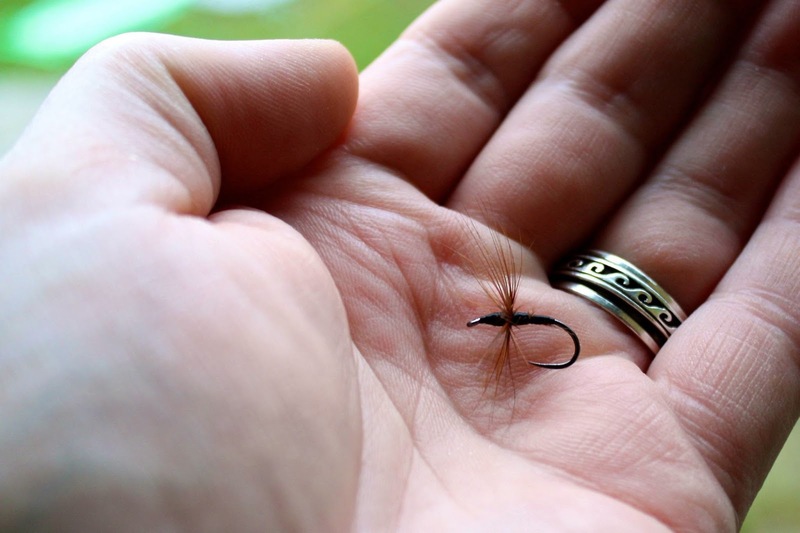 Because, of all your flies, this one spends the most time in the water, it stands to reason that it will probably catch you the most fish.. until of course it doesn't and then you experiment with a different fly, perhaps get some instant success and then a new favourite emerges.. 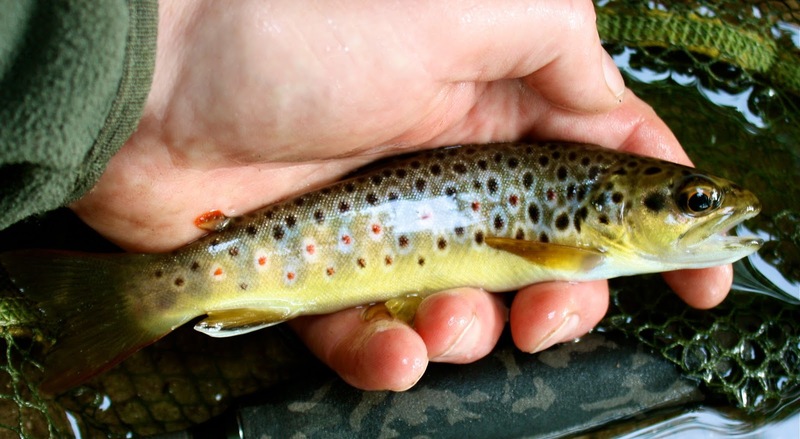 This fly choice is very subjective and most probably matched not so much to any hatch, but more to the random good fortune of catching a fish that has been offered up by the alignment of all sorts of unknown variables. But as time goes on we rationalise our fly choice, even develop our own theories or adopt the theories of others about why this fly works. However, if we were to try to prove our theory in any scientific way we would only have very scant data on which to base our observations, probably no control subject and absolutely no controlled environment. So we must say that our faith in a particular fly is exactly that - an act of faith or at best, flimsy empirical observation. Rather than faith, I prefer to think of it as 'confidence' and as we all know, confidence in fishing is a very large part of success. And herein lies the dilemma of the abundant fly box, for when our go-to pattern/s fail us we search for a new fly that will work. We try this pattern, we try that pattern, but the more choice we have the more likely we are to confuse ourselves with options. And confusion leads to a lowering of confidence. 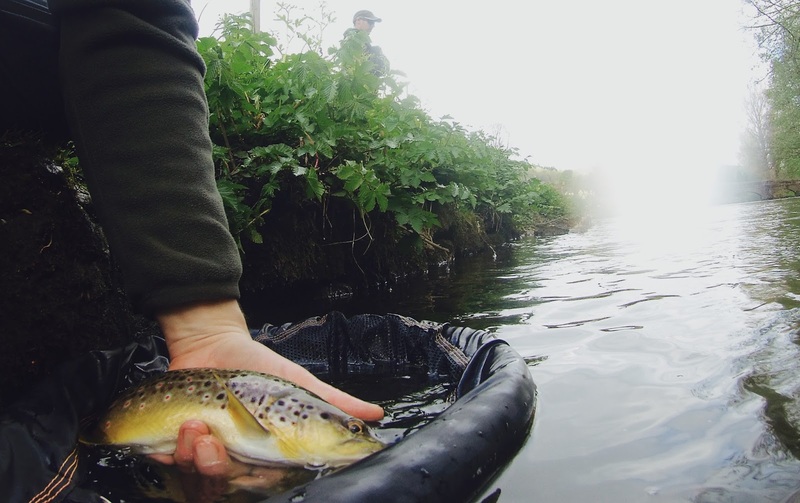 Not only are we no longer fishing effectively but we are actually fishing less - because with all the chopping and changing of flies we have a fly in the water for less of the time. Perhaps then we look to others for advice, which is fine but wouldn't we really be happier avoiding these pitfalls in the first place? In contrast to a western-style imitative fly, the kebari is a blank canvas on which to paint a representation of life. 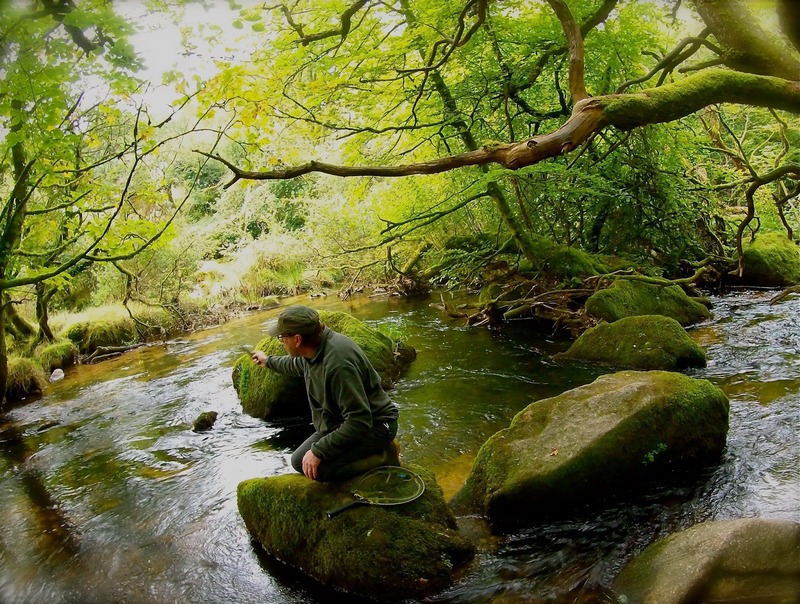 This is achieved through how we cast and where, when and how we fish our fly. Our kebari is tied to give an impression of nothing in particular except that of life. The skill is in presenting our kebari to the fish in such a way that it is induced to take our fly, regardless of the natural food forms present. When I decided that for some of my fishing trips I would limit myself to just one pattern, it was with the intention of developing my fishing skills. I would explore the many ways a single fly pattern can be fished and manipulated with tenkara. So now, instead of trying to match a fly to any particular scenario I'm selecting a method of presentation to tackle that scenario. For most of my fishing last season I used just one pattern of kebari in size a 14 for some trips and the same pattern in a size 16 (but with a tiny beadhead) for other trips. Never did I switch between the two versions during the day, I stuck instead with my initial choice for each particular trip. I should also explain here that I often use a tenkara approach to catch many species other than trout and it was with these in mind that the size 16 beadhead kebari was used. If I was fishing only for trout I could have literally confined myself to just one pattern for all of my trips and still have fished with confidence. I would also say that the precise pattern is not so important - I would be equally happy to follow the same approach this season with a different 'one fly'. I'm freed from the worry of leaving this or that pattern at home by mistake or losing my last one of that type in a tree or on a rock - it's pretty quick and easy to tie up a half a dozen kebari of the same pattern at home - more than enough for me for a trip and as long as I take them with me there's not much else to worry about.. 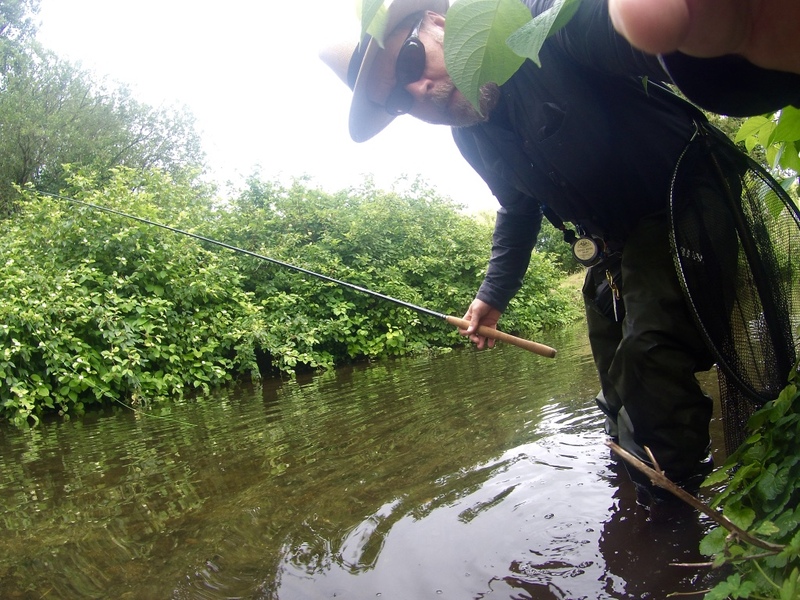 I'm freed from the worry that I am fishing with the 'wrong' fly pattern - since I only have one pattern I must by definition be fishing with the right one..
With my one fly tied on I can arrive at the water and be fishing within seconds if I wish. If on the other hand I wish to just sit and observe, I am ready to fish instantly when the desire arises, with no fumbling around for the 'correct' pattern..
and since I'm not chopping and changing patterns, I'm spending more time actually fishing my fly in the water, or alternatively I have more time to stop and observe..
one simple little fly box..
freedom from the confusion of too many choices of fly pattern and freedom to think just about reading the water and observing the fish's behaviour..
on-stream, because I'm free to focus on learning to read the water and observe fish behaviour, I'm more open to learning which approach might provide an effective presentation - and since I'm always using the same fly it's a swifter route to learning the subtle nuances of each presentation and how they may be influenced by us or the environment..
because there is nowhere to hide with the one fly approach, success is more rewarding and more authentic - somehow I feel more of an angler in the purest sense, fishing this way..
By fishing one fly and enjoying these benefits I created a space for myself where I could relax and enjoy my fishing more, catch more fish and learn new approaches. Because of extensive fishing of this one pattern I also learned the limitations of the dark coloured soft hackle kebari I chose to restrict myself to. Given differing light conditions and colours of river bed gravels, I felt there were times when a light coloured fly would be easier for me to see and/or the fish to see. There were also times when I would have liked a stiff hackle version to try surface manipulations more effectively or to hold my fly in a pocket within the flow. And while none of this is really a surprise it does guide me very nicely in my fly box choices for this year. A collection of just four patterns - a dark soft hackle and a light soft hackle kebari, together with a dark coloured and a light coloured stiff hackle kebari would overcome these 'restrictions' and provide me with a large repertoire of presentations. More than almost anywhere else in fly fishing, the design of Kebari are defined by their intended function, how they will be presented, how they will be fished. None of these considerations are entomology-based, but they are nevertheless very effective routes to catching fish by induced take. In fact I have my suspicions that even with western style flies most takes are in reality induced and seldom do we actually deceive a fish into mistaking our fly for a specific insect. But this is another subject entirely and one for another time.. Thanks Jack. Perhaps try 'one fly' for one or two trips and see where it takes you..